I made vegan pancakes tonight. 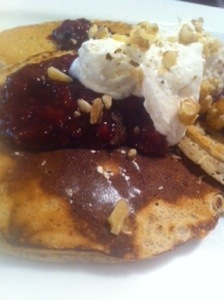 Toppings were strawberry/blackberry syrup, non-dairy whipped topping, and toasted walnuts. So good! My husband said the pancakes reminded him of an ice cream cone.